You must cleanse and purge the toxic… Happy 2013! 12/30/2012 – Recovering slowly but surely after my 8 year battle with an intestinal infection I didn’t know I had nor could medical doctors figure out why I ate right and worked out yet my skin kept breaking out with severe acne and hives, to massive bloating, massive yoyo weight gain (that “was” me and my abs above), and daily exhaustion all of which was starting to shut down my organs. (My appendix almost burst in 2010 and the hospital didn’t catch my intestinal infection. 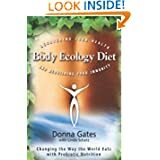 I diagnosed myself finally by going to get a colonic in July 2012 and then birthed over a dozen parasites see my blog at “Mary Lou Health Update”) I’m feeling better day by day and gettin skinny gettin skinny with only working out a few times a week until I gain more of my strength back! Happy ONE YEAR VEGAN ANNIVERSARY to Justin and me! Becoming vegan and taking better care of myself saved my life! Getting off all of my medications that were masking what was “really” wrong with me saved my life! Let FOOD be thy medicine! Thank you to the Inner Health Center (www.innerhealthcenter.com) for mental and spiritual health from advice to colon hydrotherapy twice a week and infrared saunas to help with my severe inflammation in my body and my joints. 2012 was the most depressing and debilitating year I’ve ever physically and mentally experienced in my lifetime. I lost myself in depression and exhaustion and I lost friends. Having double knee surgery and learning to walk again from 2006 to 2007 was a walk in the park compared to this last year dealing with illness, depression, and no energy. I’m looking forward to a happier and healthier 2013! I’m starting to feel REBORN! Thank you everyone for your love and support. That is one of the MANY things I learned in 2012… Just how much I am LOVED when I wasn’t loving myself during the years of feeling sick every day and many days I wanted to give up! Especially this year! The Year of my CLEANSING! Cleansing yourself is TOUGH! So… THANK YOU! Love you back more than you know!